When “Hoarders” premiered on A&E, it caught my attention. I love to see how other people live, especially dysfunctional people. It makes me feel better about myself, which saves me thousands of dollars in therapy. However, I wasn’t prepared for how nauseating it felt to witness the conditions under which hoarders live. I gagged when a mummified cat was pulled out from under several feet of rubble. With the help of our housekeeper, Carrie, we keep a tidy home. It’s not so sterile that brain surgery can be performed, but I’m fairly certain there aren’t any cat mummies lying around. 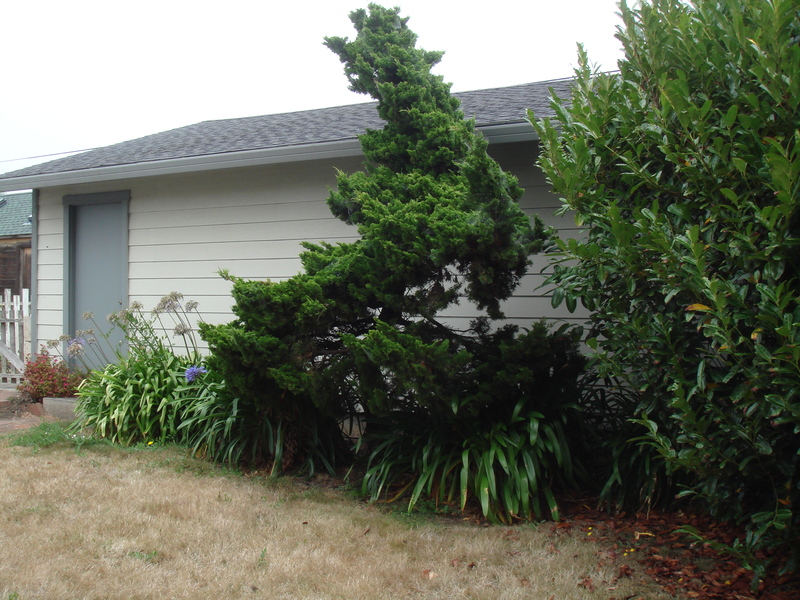 Our detached garage is another asset in controlling much of the house clutter. Into the garage goes holiday decorations, planter boxes, household sundries (cleaning products, toilet paper) and anything else that I don’t know where to put. The garage is conveniently located several feet from the house, making it easy to ignore. A few weeks ago, I had to retrieve wrapping paper and ribbon from a shelf out there. I climbed over a pile of items to reach the gift wrap, balancing one foot on a suitcase and the other on a case of toilet paper. The load began to shift. I was barely able to scramble to solid ground before it colla psed. I stood for a moment, evaluating the mess. For the past decade, the garage has morphed into a navigation challenge worthy of one of those outrageous Japanese game shows. I reasoned that the obstacle course (along with the burned out light bulb) is important to keeping me alert and agile. I must watch my step, and feel my way through the dark. I would say they were a hoarder. I do not like to think of myself as a hoarder. I like to think of myself as a professional woman who, in her spare time, likes to hang out with family and friends, go to the gym, sew, and knit. I simply do not like to do domestic chores. Oh my God. I’m a hoarder. In my defense, most of the cans are quart-size, and 24 are essential for touching up existing colors inside and outside the house. The remaining 61 accumulated over the past 10 years. I’d complete a project and put the can into the garage as the first step in a plan to donate it to local theater productions or take it to the HazMobile for disposal. But you know how it is (or maybe you don’t if you’re more organized and don’t have any friends): a new painting project popped up and another paint can was added to the forgotten garage collection. I’m fairly certain that one of the steps in recovery is public admission of the wrong I’ve done. So here it is—I admit it. 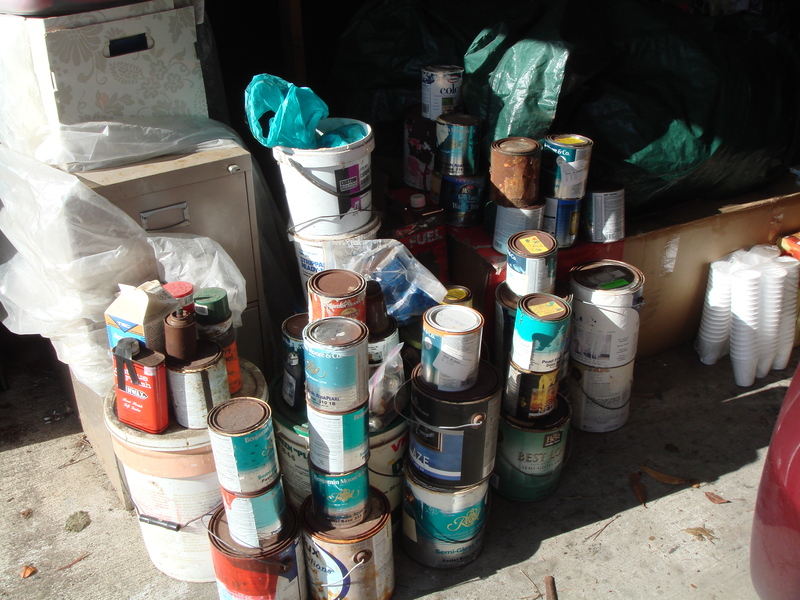 I once hoarded 85 cans of paint. Take it and feel superior. I wish I could say that my organized garage has filled me with serenity. In truth, it’s thrown me into a case of post-traumatic stress syndrome. I enter, ready to navigate the landmines, but the landmines are gone. The open space, illuminated by the bright light bulb, feels too expansive. The neatly stacked shelves and hanging garden implements watch my every move. I run to the car and lock the doors, anxious to get away. This entry was posted in Fort Bragg California, Humor by Kate. Bookmark the permalink. I have a neat, organized house, but a disaster of a garage, complete with cans of paint 1/6th full of old, useless colors. We have the special treat of 2 different friends dumping their stuff in our garage while they try & sort out their lives by leaving Portland. It makes me agitated to enter the garage. Thanks, Barbara. But if I ever even hint on taking you up on this offer, you have my permission to Taser me at your door. Thank you, Cindy. You’ve reduced my shame index considerably. Last time I went to Home Depot to buy a gallon of paint to put on an accent wall, the sales person offered me the paint deal of my life…… A 5 gallon bucket that had been mixed for someone who decided that wasn’t the color they wanted after all. I may have used 1/2 of a gallon. Guess I could have painted every room in the house that lovely green! 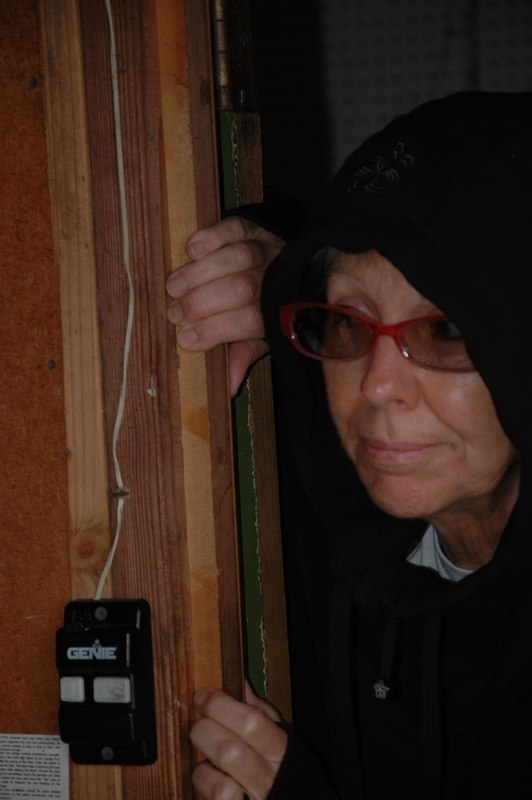 Oh Joyce…that sounds so much like something I would have done before I entered hoarding recovery. Maybe you can dump the remainder of the bucket in your front yard to give the illusion of grass! Ha! The shelves are watching you . . . too funny.